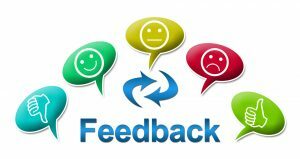 Customer feedback is really important to us; so if you wish to leave feedback or comments about Singleton Training Services Ltd, our web site or our training courses, please click on the red link to the left of the screen. We take your comments seriously and review all suggestions with a view to providing the best service we can. you can also leave reviews and feedback on “FreeIndex”. “Great first aid course, informative, yet delivered in an engaging and easy to follow manner”. Jamie from Ark Wildlife park, Lincolnshire. “Sports Injury First Aid course that was excellent, the best first aid training I have ever done and will be of great benefit to me in the future. I would happily use Singletons for any other training of this nature and have had no hesitation recommending them to my employer”. “Attended food hygiene training, the content was delivered clearly and was not as difficult as I had anticipated. We were given adequate time for the end test as a result I didn’t feel rushed. The training venue met our needs and was overall a good day, Thank you”. “A thoroughly interesting, informative and enjoyable 1st Aid course. The course was well delivered by someone who clearly knows his subject”. “Always enjoy time at Singletons, always professional and informative. Very much worth the money”. “Amazing Junior First Aid, the children were loving their learning experience and the staff were fantastic to engage with the little learners, thank you!”. “I would highly recommend Singletons for staff training, the trainer I had was confident and knew what he was talking about, the course was fun and informative and I went away feeling a lot more confident about first aid”. “The course has improved my confidence, I enjoyed the course, the trainer was very good at his job”. “I had a blast doing moving and handling, Grimsby training center remains the best for facilities, the hoist and bed are brilliant pieces of kit for hoisting and using slide sheets, thanks!”. “I found the first aid course really enjoyable, we covered all areas and it was an interesting day”. “Interesting and informative, delivery was excellent”.